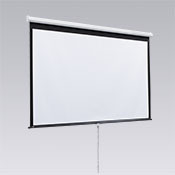 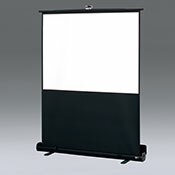 Evenroll Rope & Pulley Manual Projection Screen :: Draper, Inc. 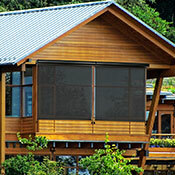 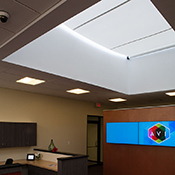 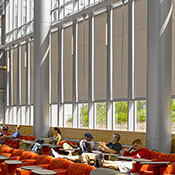 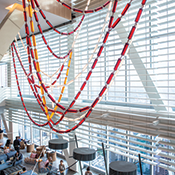 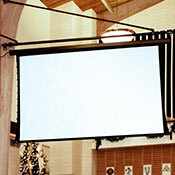 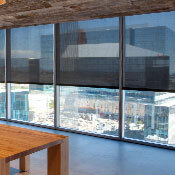 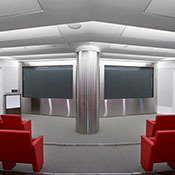 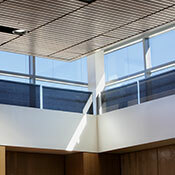 The Evenroll Rope & Pulley wall- or ceiling-mounted, projection screen utilizes a nylon marine pulley system. 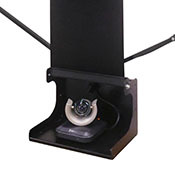 Flanged spools keep the cords tracking properly and provide smooth operation and performance. 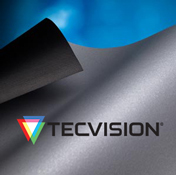 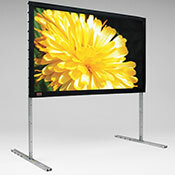 This free-hanging, fiberglass-backed projection screen maintains flatness thanks to the weight of the screen and bottom roller. 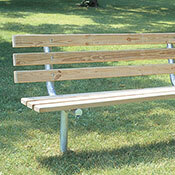 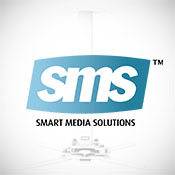 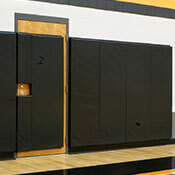 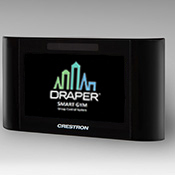 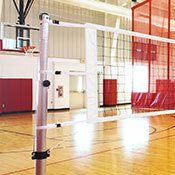 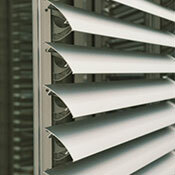 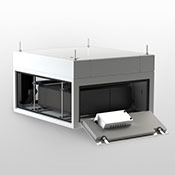 It installs easily making it ideal for gymnasiums, auditoriums, or other large venues. 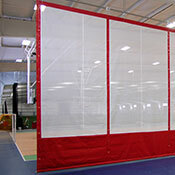 Maximum fabric width up to 24' (732 cm) wide. 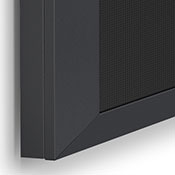 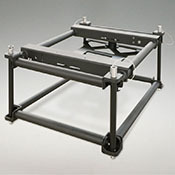 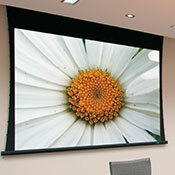 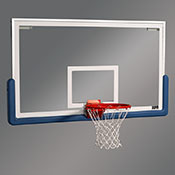 Optional wall mounting brackets, formed of 1/4" (6 mm) strap steel, extends projection screen 12" (30 cm) from the wall. 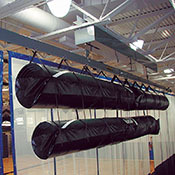 Rope and pulley system utilizes nylon marine pulleys and flanged spools for smooth operation. 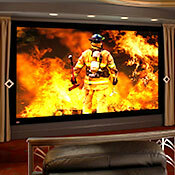 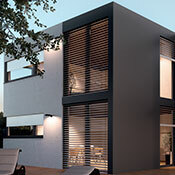 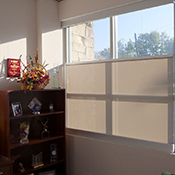 Installs easily to wall or ceiling. 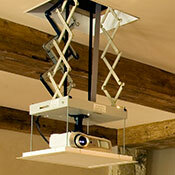 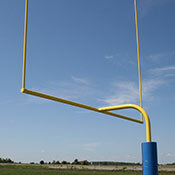 Cable clamp provided to stop screen at desired level.